88-95 Chevy/GMC 1/2, 3/4 & 1-Ton Trucks 2WD & 4WD: 305-350, Tube Size 1.5", Collector Size 2.5"
Breaking in an engine with ceramic coated headers WILL result in damage to the coating and will VOID all warranties. Ceramic coated headers require several heat cycles to fully cure before they will withstand extreme heat. Flowtech recommends using cast iron exhaust manifolds or old headers to break in new engines to avoid coating damage. Please call Flowtech tech service at 270-781-9741 for additional information regarding ceramic coated exhaust products. The use of header wraps can cause the header tubes to crack or rust due to excessive heat and moisture build-up. Flowtech does not recommend the use of header wraps as this will void the warranty. 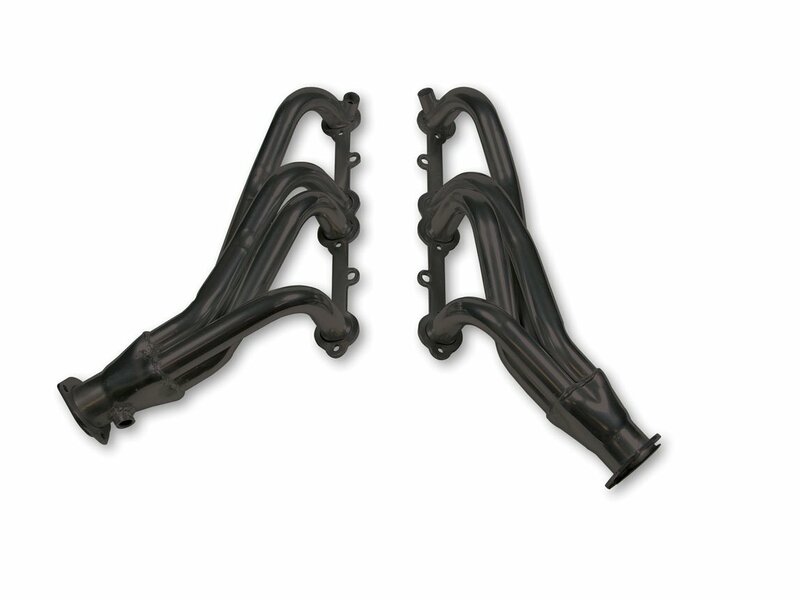 Flowtech headers are the perfect combination of performance and value. Flowtech shorty headers are precision engineered using mandrel bent tubing, formed collectors and 5/16" flanges with sealing rings for a leak-free seal. All mounting hardware and gaskets are included for a simple installation. This header is coated in a high heat resistant black paint for a stealthy appearance.